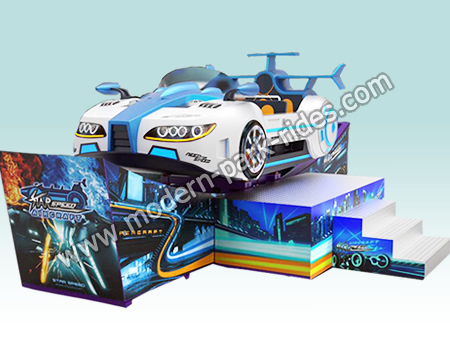 Mini flying car is very popular among the world ,not only children like it,but also adults like it . It can rise and fall on the track ,it can also rotate it self , we feel like driving the car in the sea among the sea wave. Its apperance is also very cool ,many people like it ,the color is also very popular,there are many lights on the car and on the track , it is especially beautiful in the night .